While it was raining this morning, campers set up shop in Otterbein Lodge to play aluminum can bowling and make crafts such as silly putty. They also spent some time at bible study with Trent learning about how important it is to tell the truth. While making a mess as a child is usually frowned upon, tonight it was encouraged. 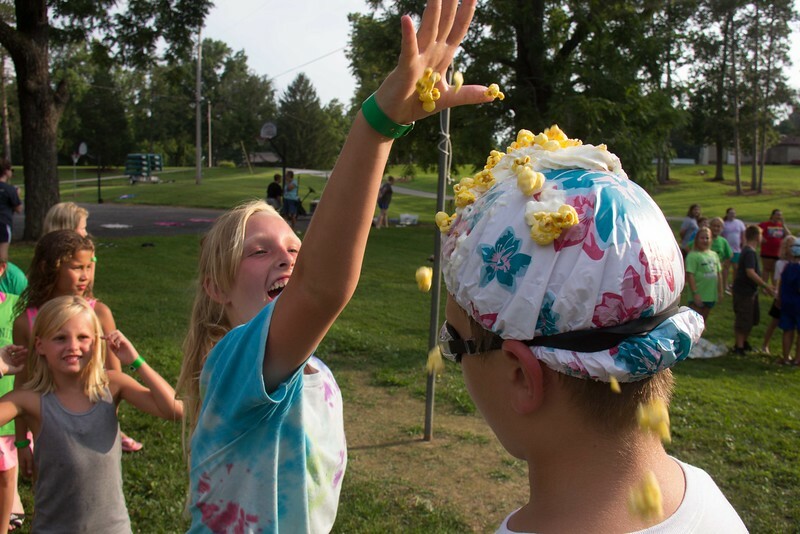 After messy games campers were covered head to toe in whipped cream, shaving cream, leftover food, kool-aid and popcorn! After getting down and dirty, the campers headed back to their cabins for shower and then to the fire pit for worship. 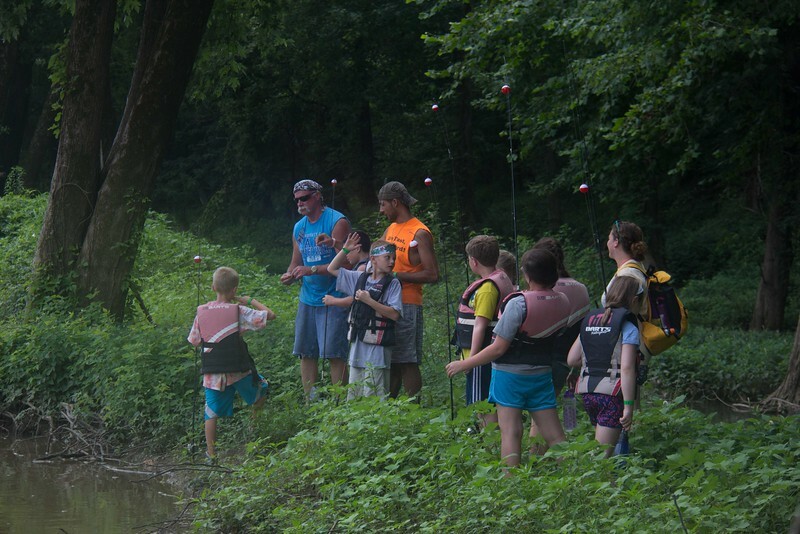 Just as Jesus' disciples were fishermen before they spread the Gospel, our campers got a taste of what it's like to fish with our manager, Steve. There were several nibbles, but our hooks came up dry! I guess we should've cast our nets on the other side of the boat. 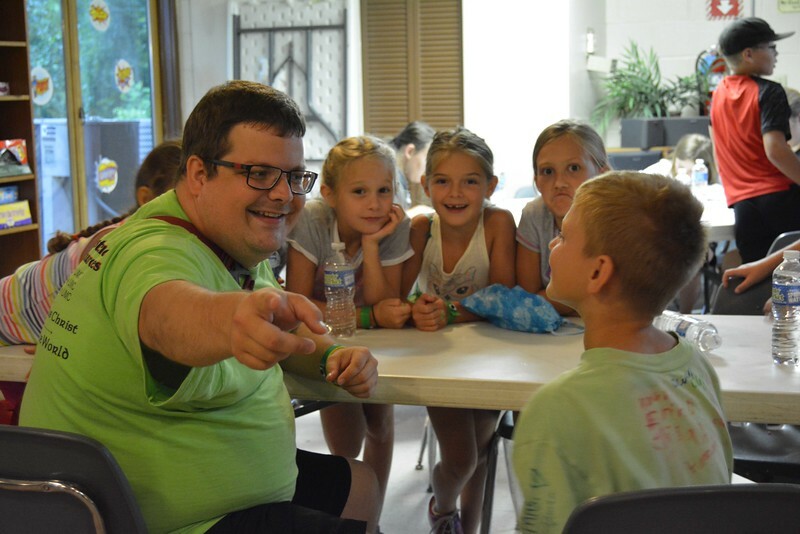 For one hour each day, the hardworking counselors and directors get to kick back and relax while the Rivervale staff plays games and teaches silly songs to campers. 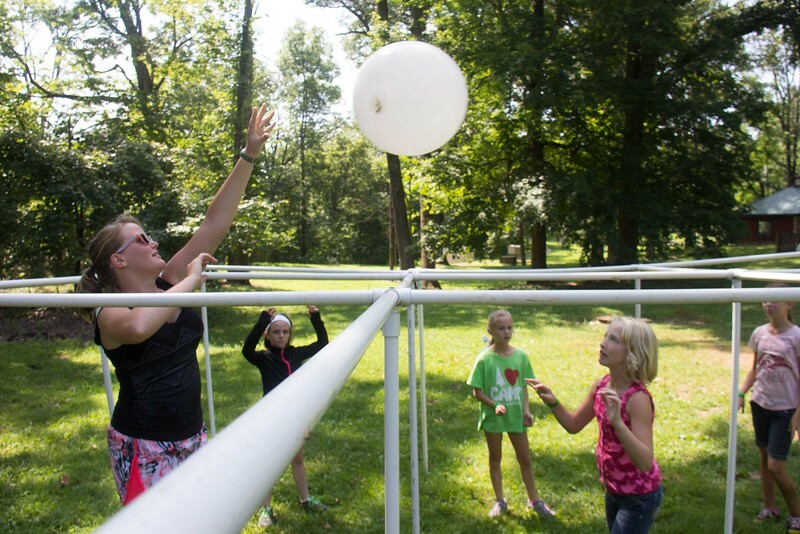 Today, campers played classic camp games such as 9-square and Gaga ball. 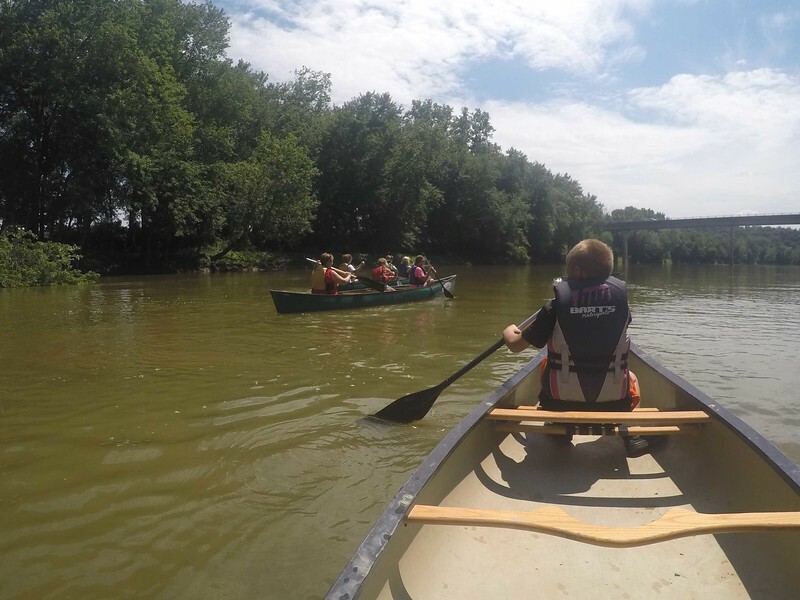 The final two groups of campers rode down to the river this morning for our final canoe trip of the week. The sky was clear and the current was swift and campers made it back again in time for lunch. 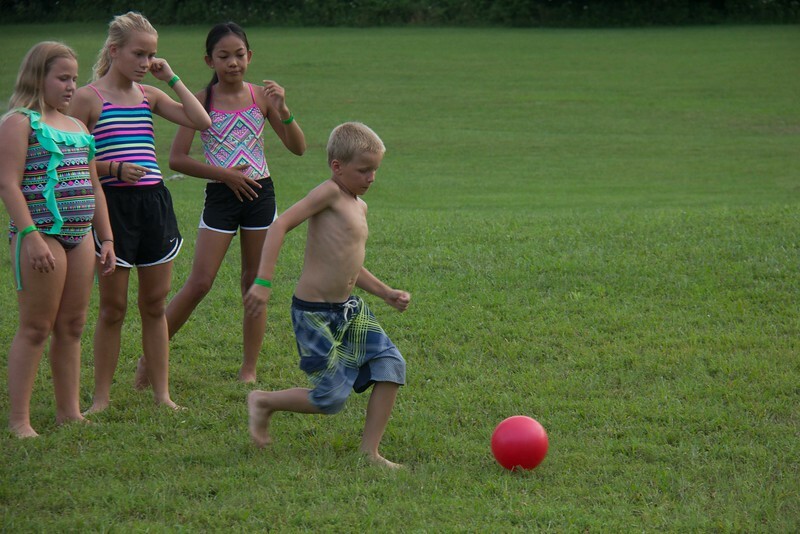 Tonight campers took part in some wacky pool games including water watermelon football. 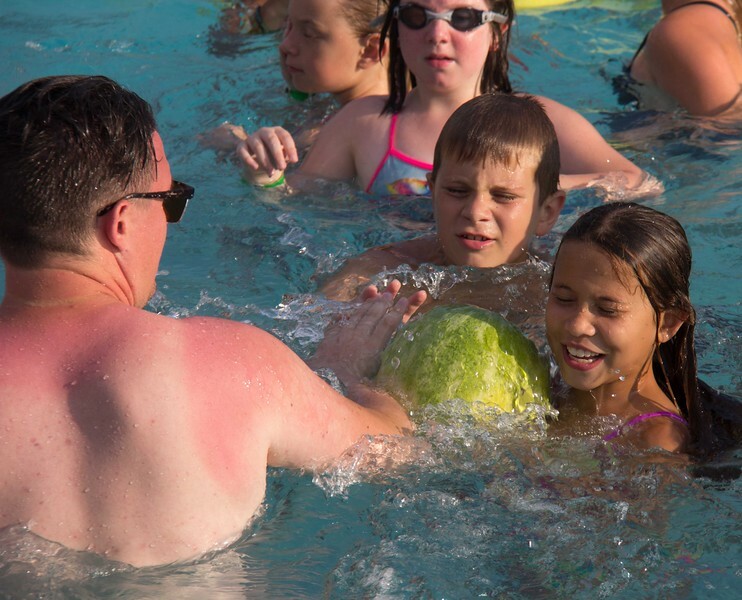 The goal of the game was to push a buttered-up watermelon from one end of the pool to the other without throwing it. 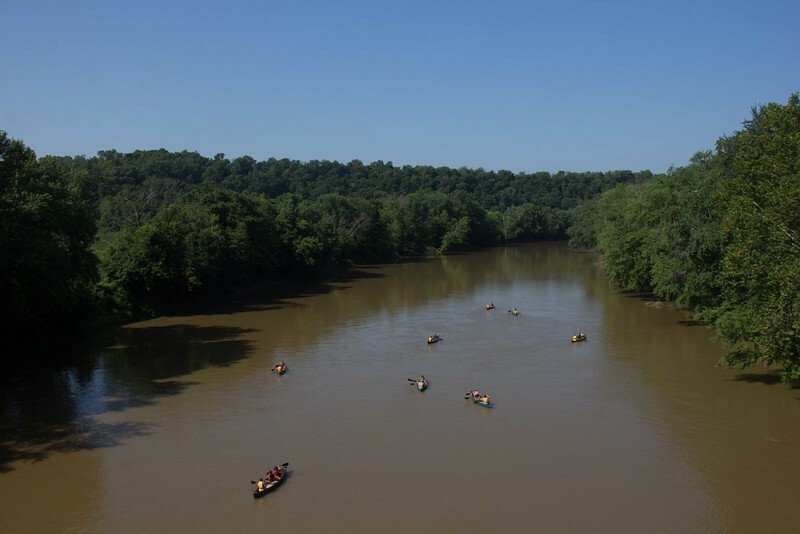 A short rain delay didn't stop our campers from challenging the White River, Camp Rivervale's namesake. The current was quick, but that just means we were back in time for fried chicken and chocolate cake! 2 groups of campers faced off against our 35' tall rock wall this morning with amazing results. 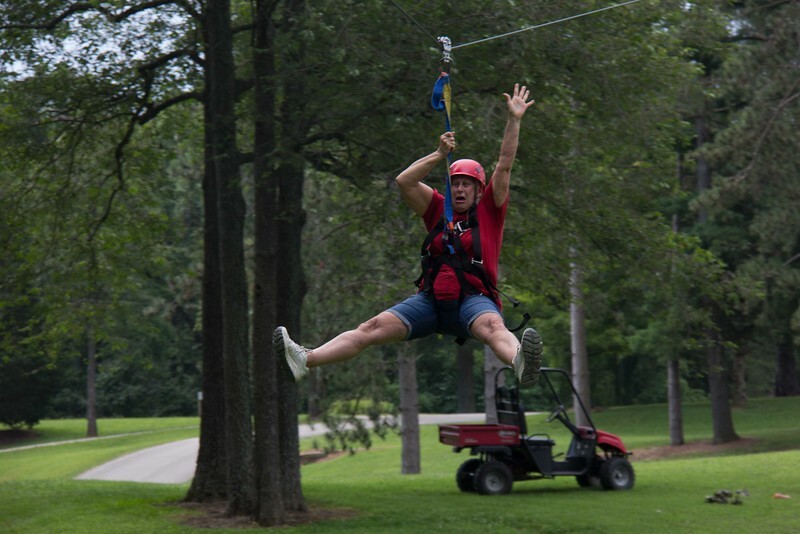 The bravest campers climbed all the way to the top to zipline down to safety. Three of their superhero counselors including Alice, who had never ziplined in over 6 decades, tackled this challenge as well! After their evening activity, our tired campers returned to the Tabernacle for worship and a powerful testimony about how to listen to God when he tries to lead them in a certain direction. Afterward, the campers went straight to their cabins and were out like a light! Campers participated in a playground classic this evening with a wet and slippery twist! Kickers used kiddie pools as bases to cool off. 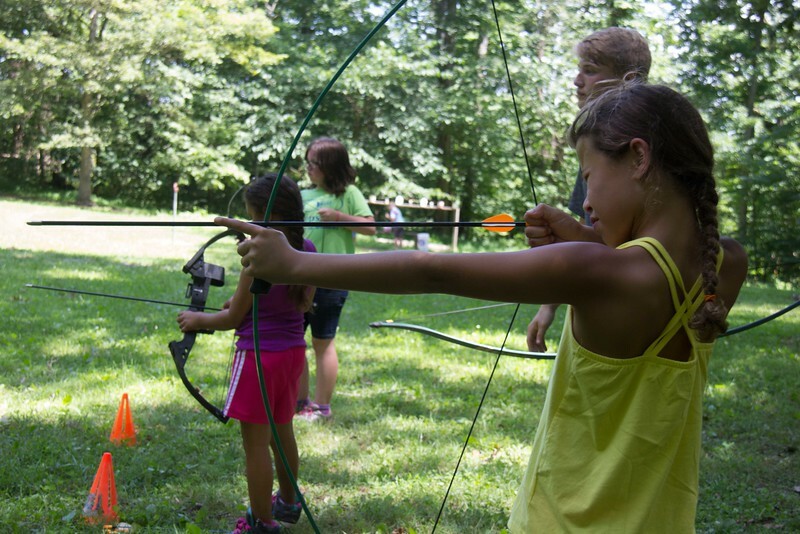 After lunch, campers met down at the Rivervale range for some sporting fun with slingshots, bows and arrows. We had several campers hit bullseyes and knock cans off the fence. Parents, cover your windows! 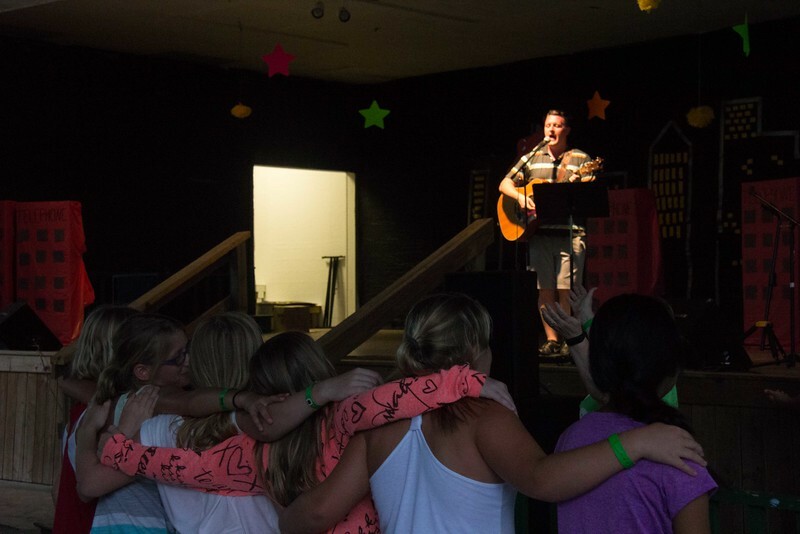 After their evening rotation, campers headed back to the Tabernacle for their nightly worship service. 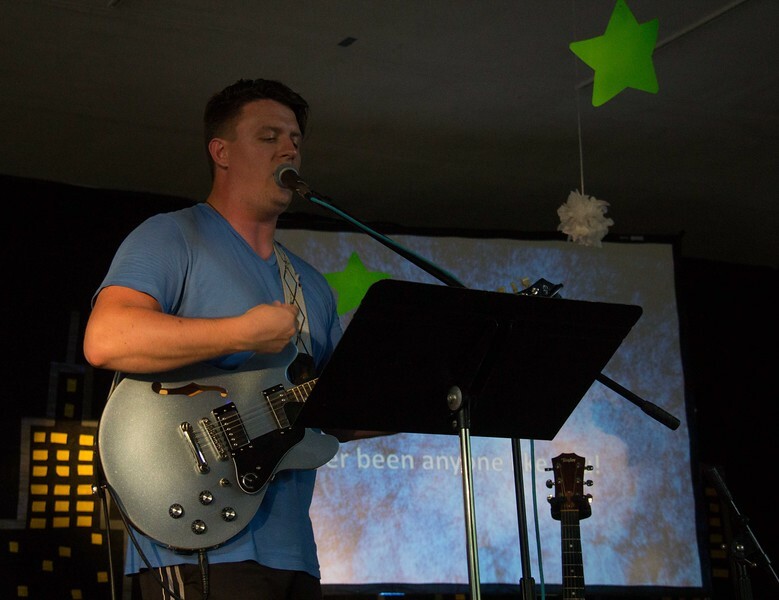 The message encouraged them to speak up about Christ, even when their faith is hushed by adults. Using the maid in 2 Kings 5:1-19 as an example, our spiritual leaders showed us the good things that can happen when one tells others about Jesus. 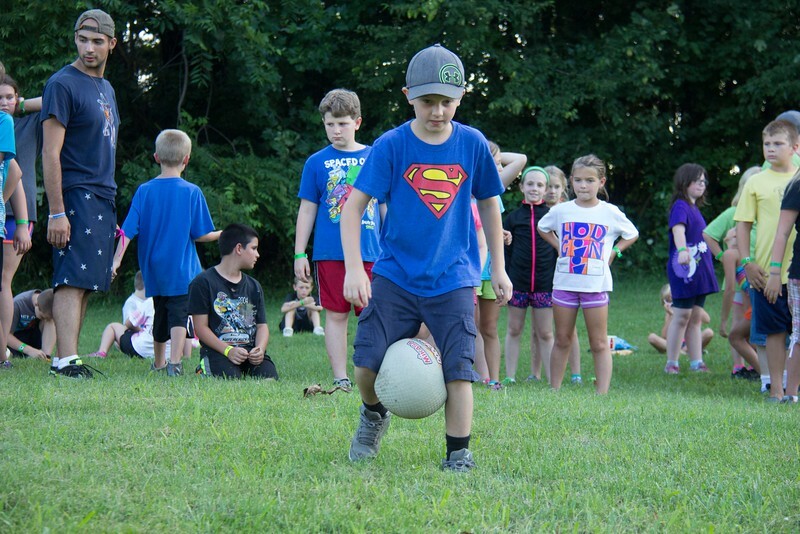 After dinner, counselors led the campers in a series of wacky relays and activities including Dizzy Waiter and a game where you had to scoot a ball across the finish line without using your hands or feet. 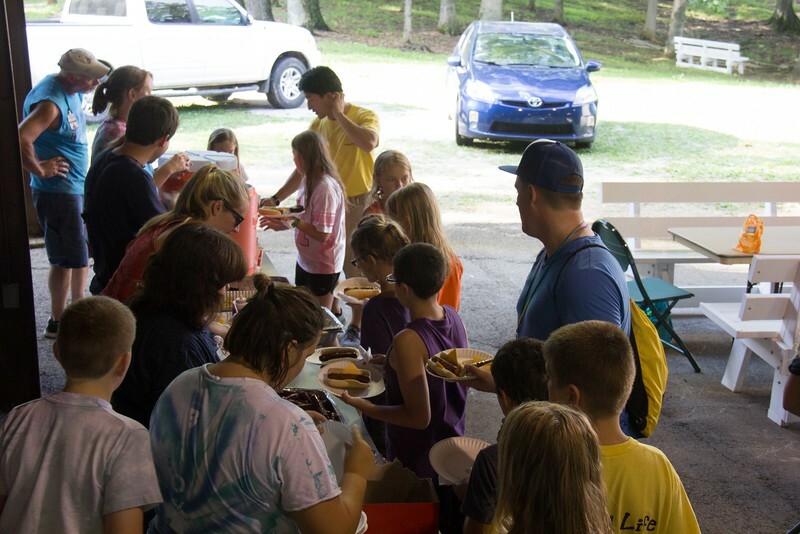 The rain cleared up just in time for a refreshing afternoon dip in the pool followed by a special Camp Rivervale cookout at the Tabernacle. It was such a relief for campers and directors to have a sunny end to such a dreary afternoon. Camp Rivervale was rocked by several severe thunderstorms this morning, but the campers remained safe inside Otterbein Lodge after breakfast. 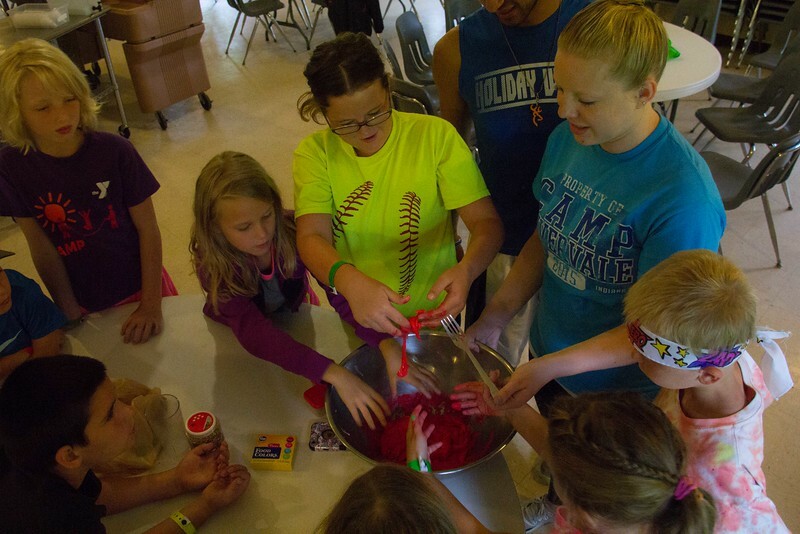 Although some outdoor activities had to be cancelled, campers were still able to have fun with wacky games and crafts. The rain is gone now and the children are preparing for an afternoon dip in the pool. After dinner, our campers got a wet surprise from some real life superheroes! 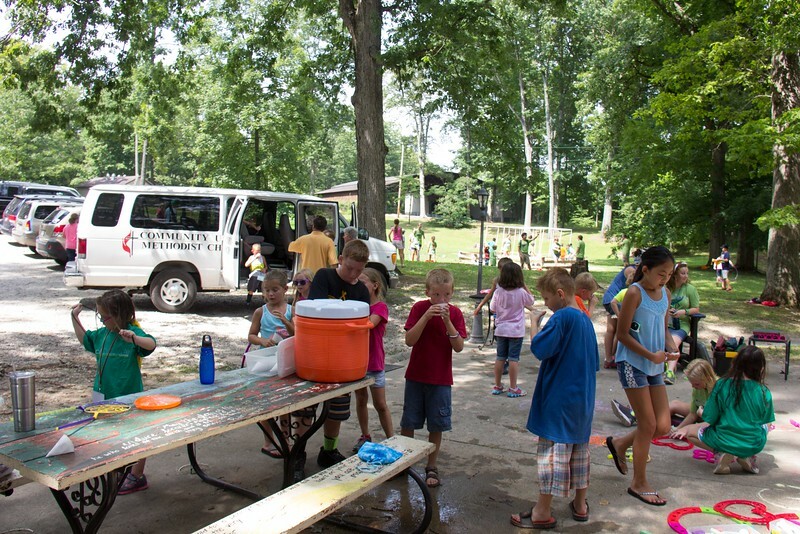 One Marion County Fire Department firefighter and his family brought a fire engine full of water to cool off the campers after a hot afternoon of outdoor activities. Welcome to Camp Rivervale! Over the course of the next few days, campers will learn how to step out in faith, observe God's beautiful creation, and learn to take a stand for Jesus. Our fun outdoor activities, pool and rock wall will keep the campers moving, and we have several surprises lined up for rest of the week. Stay tuned!